Lovely home in a very desirable location! 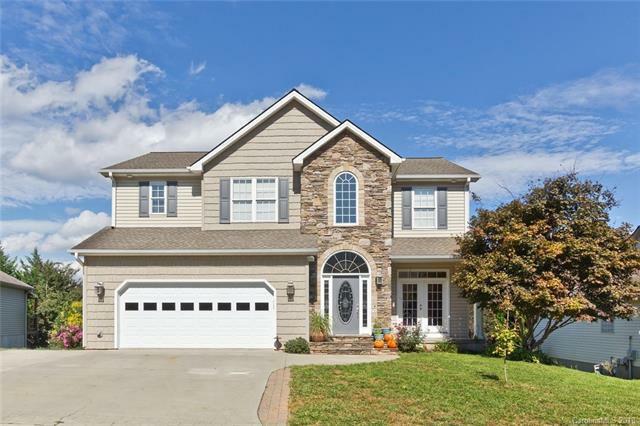 Wonderful opportunity to own a 6 bedroom, 4.5 bath in the Rivercrest subdivision, TC Roberson schools, great access to Biltmore Park shops, stores on Long Shoals Road, the North Carolina Arboretum, the Blue Ridge Parkway and convenient to all south Asheville. Main level features Great Room anchored by a stone fireplace, Kitchen with Eat In area adjacent offering great light and access to the rear deck, Powder Room and formal Dining Room. Upper level has very ample bedrooms, baths and a convenient laundry. Both main floor and the upper level have hardwood flooring, and much of the entire home has fresh interior paint. The upper level can have many uses, in that the rooms can be repurposed for uses other than bedrooms. The lower level can be a wonderful in-law or guest suite, or even a rental. Outdoors, the back yard is private and offers plenty of room for gardens or play area whatever suits the new owners. Come see and enjoy! Sold by Lusso Realty, Llc..